B.Wood turned £10 to £25,000!!! Can you? 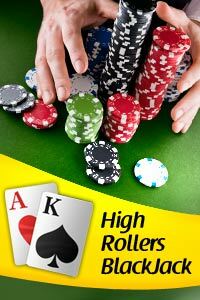 Come experience the thrill of our High Rollers BlackJack game and get your chance to win HUGE MONEY! we've also included a free practice mode that allows you to sharpen your skills without risking anything!